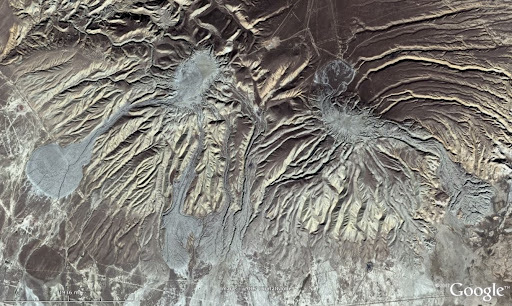 As soon as I saw the stunning geology in John’s WoGE challenge, I started looking for the solution in the fold belts of Iran that have essentially zero vegetation. My search was successful, so here comes WoGE #69. Have fun. North is up. Schott rule in effect. Post time: 10 pm CST, 11/01/2007. 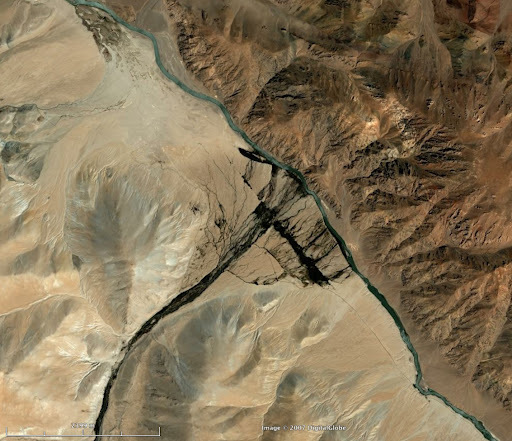 After John’s Argentinian anticline and rivers, here is a new WoGE challenge. Slightly smaller field of view this time, but some textbook geology in it. North is up. Schott rule in effect (post time 7:15 am CST, 10/22/07). I will be out of town this week, but comments are not moderated, so you don’t need me. 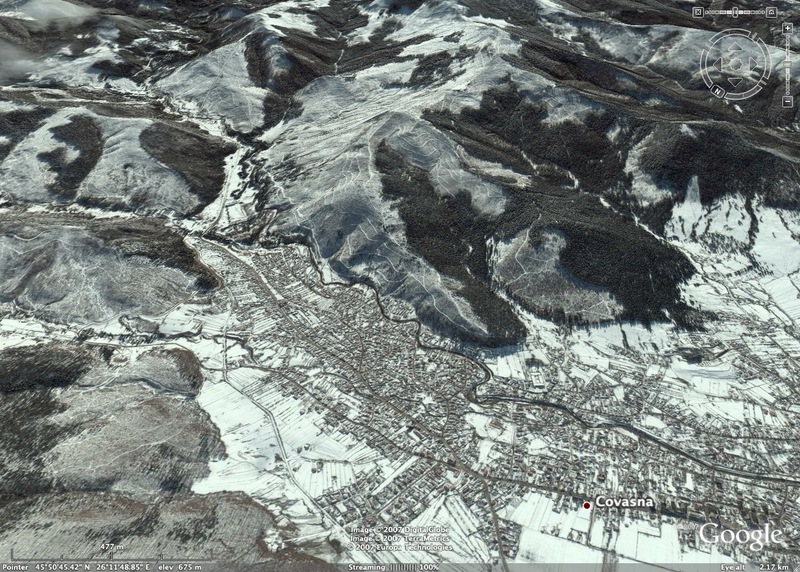 You can also see some of the photos in Google Earth, if you download and open this file. 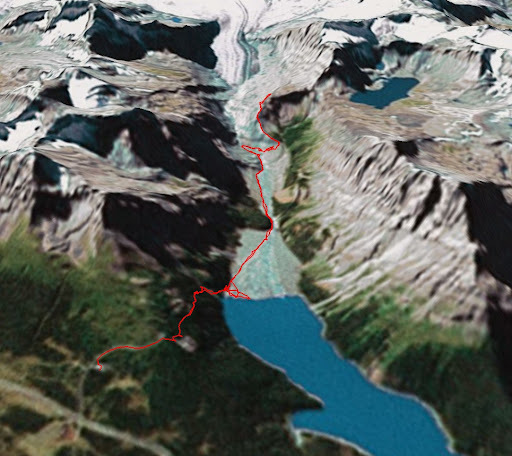 The first is an annotated screenshot from Google Earth. 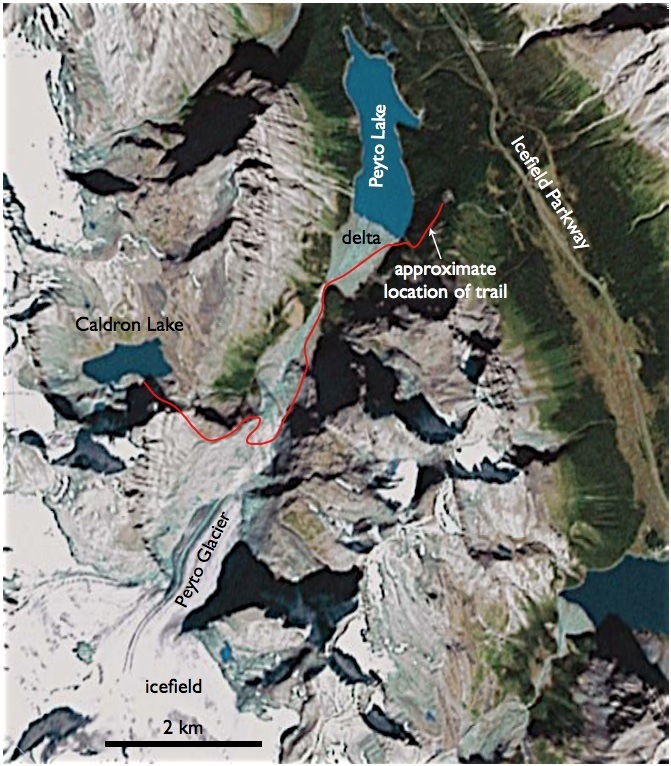 Unfortunately there is no high resolution imagery at this location (the hi-res tile covering Lake Louise does not reach Peyto Lake). The second is a panorama (shot with a telephoto lens) showing one more time the delta plain at the lakehead. Click on the images for larger versions. A képre kattintva a nagy felbontású fotó is értékelhető. 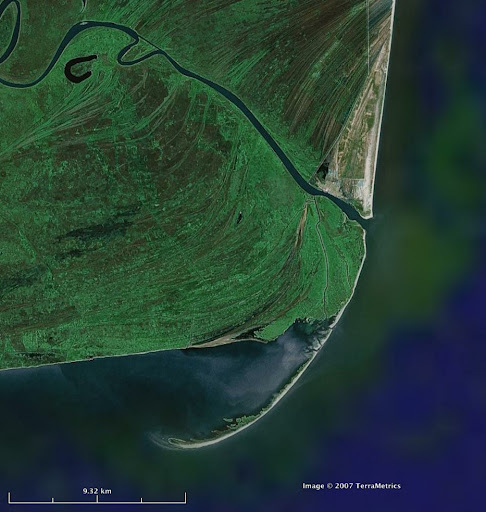 Persze a legjobb ha az ember ezeket a Google Earth-ben nézi. Here is for example this USGS site from which you can download (with some patience) not only the usual satellite imagery but digital elevation models (DEMs) as well, for pretty much the whole globe [thanks to my friend Radu Girabcea for pointing me to it]. Once you’ve got a DEM, you can use 3dem, a nice little piece of freeware to display the elevation models in 2D and 3D and to drape georeferenced images over the topography. DEMs are available (for free — at least at this point) with a ~10 m resolution for most of the US and a ~30 m resolution for other areas (I was especially excited to savor the detailed topography of the Carpathians — the more familiar you are with a place, the more illuminating it can be if you examine the morphology). 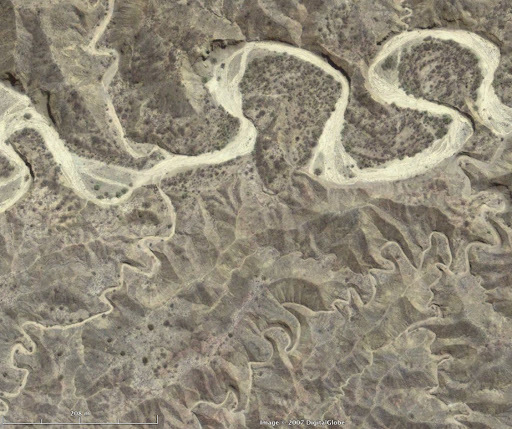 Another thing worth taking a look at is NASA’s version of Google Earth, that is, World Wind. With one click, you can switch from Landsat images to USGS topographic maps [although I often have problems with the server connection]. Can it get a lot better than this?